Welcome to our holiday home, our little "Villa on the Sognefjord"
Holidays in Norway have always been both inspiring and a truly magical experience to us. 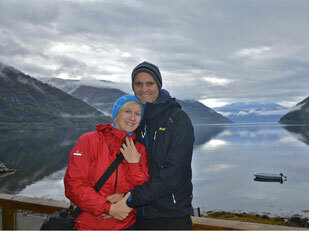 With this holiday home "Villa Sognefjord" now a dream come true that we want to share with you, our guests. We have opened the doors in Easter 2012 and since then we have worked with a lot of passion, sweat and effort on making it a special place our guests should feel home in . Two things in particular are therefore very important to us. Cleanliness and a personal, honest and open dialogue with our guests. Hence why we are keen to only welcome guests who value our house and efforts, these ones that want to experience Norway in its pure beauty . Drop us a line, give us a call! We look forward to your inquiries and are always and at any time available by email or phone to help you and give you advice. A big thanks goes to all of our hardworking volunteers Adolf, Simone, Michi, Lisi, and of course my parents. 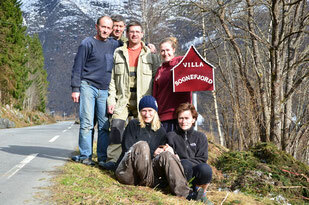 Without you, the project Villa Sognefjord Norway would have not been possible. 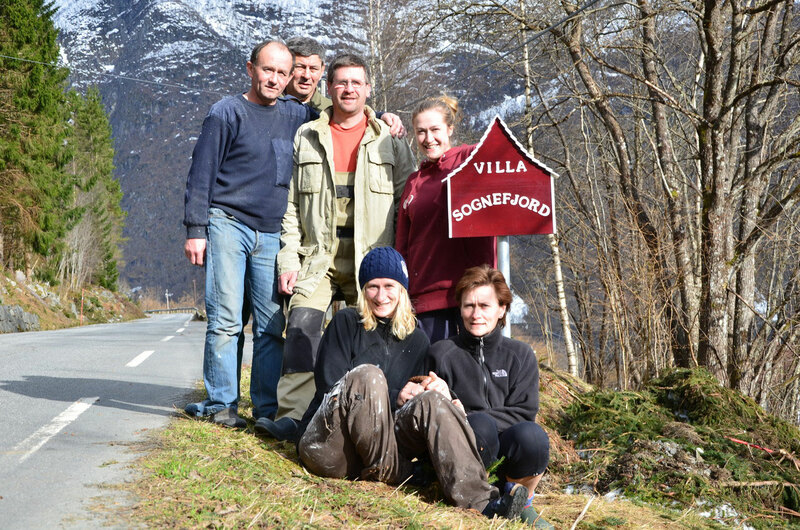 Also to mention, of course, are my dearest granny Oma Sigrid , grandpa Opa Helmut, granny Oma Jutta, auntie Mandy, auntie Dirki and Mrs. Jonas, who have sacrificed many of their big and small treasures and have now become a part of the Villa Sognefjord. For this, a big thank you!